3. Turn off the ignition of the cars involved. 6. Mark the scene of the accident with flares or retro reflective triangles. 7. Gather the names of all persons in the motor vehicles and people who witnessed the accident. Also, you may want to print a copy of this Accident Report Form and keep it in your glove box as a reminder. 8. Make a quick diagram of where the vehicle occupants were seated and indicate the vehicles’ direction of travel and lane. Also note the date, time and weather conditions. If you have a camera, take lots of pictures. You’ll never know how much they may help you later and you can’t have too much information. 12. 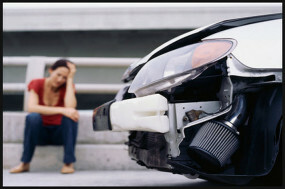 Call Autosquare Collision Center! We’ll take good care of your vehicle, deal with your insurance company, get you a rental car if you need one, and do everything we can to help you through this unfortunate accident.